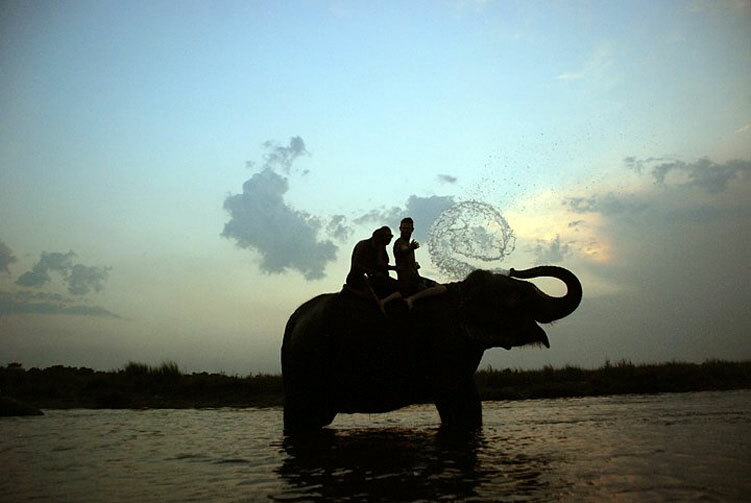 Experience the Real Culture age old tradions, feel the exotic ethinic diversity. Go on a holiday that makes you feel that you definitely went to an awesome holiday destination. Choose a trip that gives you an undoubtedly great experience of travelling with its unique offerings. Nepal Cultural Tour takes you around beautiful places in Nepal. The tour mixes cities and villages equally to create an experience of authentic Nepal travelling. Be it the cultural heritage tour in Kathmandu valley or a village excursion in Bandipur or simply indulging into spiritual vibrations of Namo Buddha monastery, you will have an amazing experience of Nepal. The incredibility of the mountains, nature, culture and spirituality is blended in this single trip and you can experience them all at their best. Driving around the country to go to those places also brings a great insight about how Nepal looks like and how people live here. You can enjoy the views of Langtang, Manaslu, Annapurna, Dhaulagiri range of the Himalayas during the trip. In addition to the view of the Himalayan peaks, you can also experience a rich and diverse cultural experience as you go around on the trip. This is the trip that makes your holiday awesome. Day 01: Arrival in kathmandu (1400m), Transfer to Hotel. Today is the day of your arrival in Kathmandu, Nepal. As soon as you come out of the Kathmandu airport, you will find our representative waiting for you in the waiting area right outside the arrival lounge. You will be warmly greeted and welcomed by the representative and led to the vehicle. Our vehicle will take you to the trip hotel, most of the time in Thamel, that is 20-30 minutes drive, depending upon traffic, from the airport. After you check into the hotel, you can take relaxing time on your own as there are no activities scheduled for today, except our trip briefing meeting. We will let you know about the briefing timing upon your arrival. Enjoy your breakfast at the hotel. We come to take your for a wonderful cultural heritage tour of Kathmandu valley. 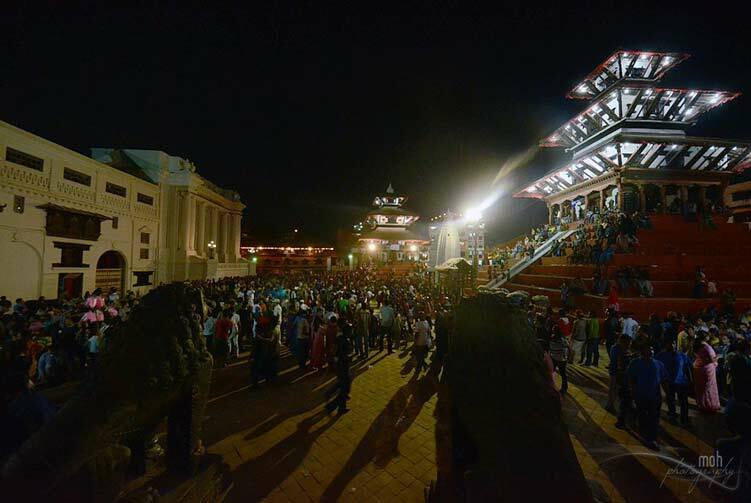 As part of the tour, we are going to visit four of the UNESCO Heritage monuments in Kathmandu valley. The places we visit today are incredible mixture of culture, history, spirituality, art and stories. Overnight in Hote. Believed to have been created on its own, this Budhhist stupa is the oldest of all the monuments in Kathmandu valley. Standing atop a small hillock, Swoyambunath, known as monkey temple amongst tourists, provides a fascinating view of the valley, surrounding hills and snow-capped mountain at the distance on a clear day. One of the three medieval palace squares, Patan Durbar Square holds its medieval art and architectural grandeur. Amazing skill of the artisans is evident in each and every building that stands in the square. The square comprises of medieval palace, temples and museum. This site is the most sacred Hindu temple area in the country. But, as the temple is strictly a Hindu only area, non-Hindu tourists go there to watch the unique Hindu cremation rituals on the bank of River Bagmati. The death rites of Hindu family there are so engrossing and heart-touching which make you feel the moment. It's not any kind of intrusion in being there and watching somebody being cremated in an open ground. It's a great cultural experience. 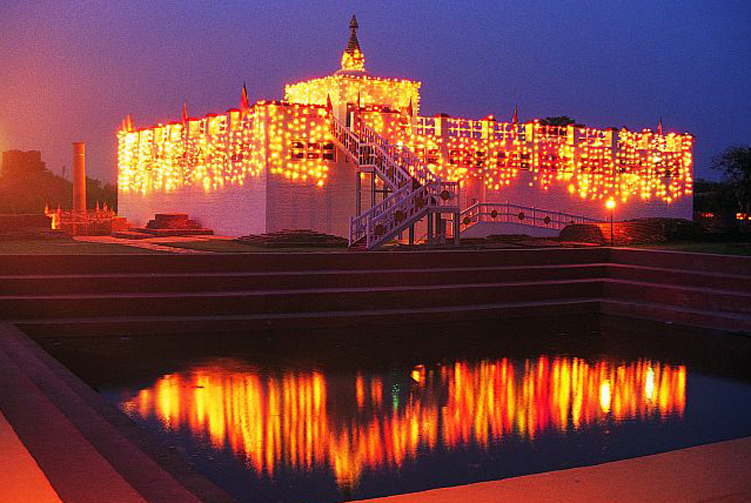 This giant Buddhist stupa is considered as the biggest one in the world. This small square with giant shrine has a powerful presence of the spiritual vibrations. It's an important pilgrimage site for the people following Tibetan Buddhism. We check out the hotel in Kathmandu early in the morning to drive to Bandipur. It will take us about four and half hours to reach Bandipur. Once we reach there, we will go on an exploration tour of this small but beautiful village situated on a hilly ridge. Once Bandipur used to be a very important trade center in the region but the village now has become a rural heritage. Panoramic Mountain view from here is spectacular. We are driving to Pokhara today to enjoy the beauty of lake and mountains. After enjoying the rural heritage of Bandipur, Pokhara will offer us something different. We will drive through several beautiful towns along the highway. Once we reach Pokhara, we go to visit mountaineering museum. Later, we will have free time to laze around Lakeside. Our day starts very early in the morning. We set our wake up alarm at the fixed time and get ready for a drive to Sarangkot hill to witness a spectacular sunrise over the Annapurna range. We reach Sarangkot after about half hour of drive to enjoy a close up, panoramic view of the mountain peaks in the Annapurna range. When the sun rises and pours its rays over the mountains, they look overwhelming. We drive back to hotel for breakfast after the sunrise. We have a free half day to relax and wander around the lakeside and also to go for some adventure activities if you like to. We go for another sightseeing tour after the lunch hour. We go hiking up to World Peace Stupa. After spending sometime at the Stupa, we hike down and visit Davis falls, Gupteshwor cave, and Tibetan refugee camp. We return back to Pokhara and take an easy time on our own. We are flying back to Kathmandu today. The flight will take us about 25 minutes to reach Kathmandu. 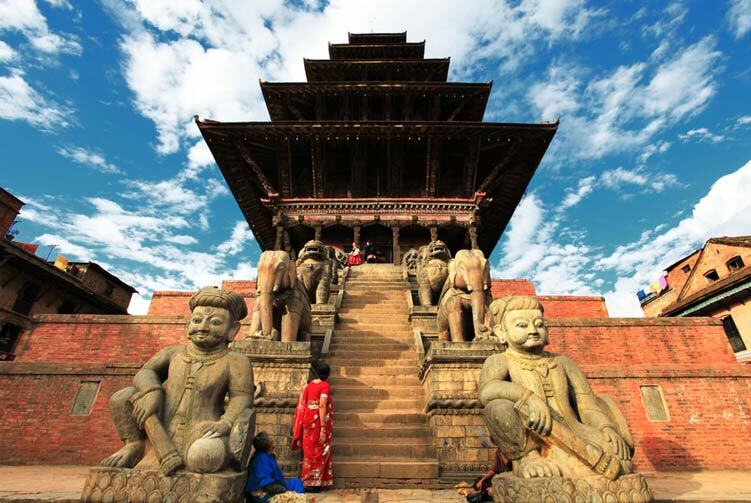 We drive to Bhaktapur for a sightseeing tour of this medieval city with beautiful architecture and amazing local life going by. After exploring Bhaktapur, we drive to Nagarkot for a peaceful retreat in the countryside setting that provides majestic views of the Himalaya. We wake up early in the morning to admire a breathtaking view of Himalayan panorama and a beautiful sunrise over those mountains. The early morning wake up is worth for such a view of the mountains and sunrise. After sunrise, we take our breakfast and go for some nature hiking around Nagarkot. Later, we drive to Namo Buddha to explore a beautiful Buddhist monastery and peaceful surroundings. Explore the monastery at Namo Buddha. We participate in the prayer rituals and we can find a corner to sit on meditation and enjoy the serenity and powerful spiritual vibrations present there. It is somewhat adventurous day today as we are hiking to Dhulikhel. Hiking goes on easy road but takes us through beautiful sights of villages, forest and valley. After reaching Dhulikhel, we go to explore some beautiful places there. We stay overnight at Dhulikhel today. We drive back to Kathmandu today. Once we reach Kathmandu, we will go for a walking exploration of old Kathmandu looking for the hidden treasures in the form of beautiful shrines in the alleys and squares of the city. Later in the afternoon, we will have free time to relax or wander around on our own. A farewell dinner is scheduled for this evening. The final day of the trip, we drive you to airport for your scheduled flight homebound or other destination. We will pick you up 3 hours prior to your flight schedule. Welcome/Farewell dinner with cultural program. Tourist Standard Hotel Accmmodiation in Kathmandu for 3Nights, Bandipur 1Nights, Pokhara 2Nights, Nagarkoat 1Nights, NamoBuddha 1Nights, Dhulikhel 1Nights with B/B Basis. 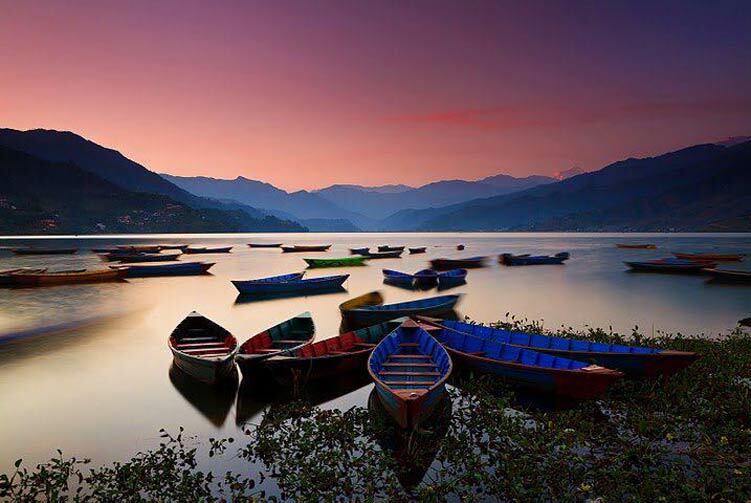 Pokhara - Kathmandu Flight Ticket with Airport Tax. Full Board Meals (3 Meals a day) while on the Tour. Guided UNIESCO World Heritage Sites Tour in Kathmandu, Patan, Bhaktapur and Pokhara with entrance permit. Professional & highly expertise government licensed holder English Speaking Tour Guide. All expenses of the Guide that includes Food, Accommodation, Salary, Insurance, Equipment during your travel period. Meals in Kathmandu, Bandipur, Pokhara, Nagarkot, Namobuddha, Dhulikhel(Includes in Full Board Tour). Items of personal nature, Laundry Expenses. Gratuities to guide, porters and driver (Not mandatory but expected as customizetripomary thank you for the service). The Ttour Itinerary may be changed after understanding by both agency and client. Additional activities could be added or reduce as per client's request before confirming the trip. We offer you the best price guaranteed for Nepal Cultural Tours. Casual clothing can be worn at any time during your stay in Nepal. However keep in mind that you are travelling in a mainly Hindu country. Please make sure you are appropriately dressed. Clothes that are too tight fitting, short or revealing such as shorts, mini skirts or low cut T-shirts should be avoided, especially in the country side. Whether you need warm woolen or down clothes or light summer clothes depends on your travel itinerary, on the altitude and season you travel. In high altitudes temperature changes can occur very quickly and vary drastically. The climate of Nepal varies depending on the altitude of the area visited. A visist to Nepal is possible all the year round, but activites such as mountain flights, jungle safaris, rafting and trekking are best done from October to May. The Nepalese Rupee is subdivided into 100 Paisa. Coins are available in 1, 2, 5, 10, 25, 50 & 100 Paisa. The denominations of notes are 1, 2, 5, 10, 20, 50, 100, 500 & 1000 rupees. For the current exchange rate check our website. 220 volts AC, 50 cycles throughout the country. Australian plugs will fit in Nepalese power points. Please be aware that in many areas there is no electricity or it is not reliable, especially in remote areas and on treks. Depending on your chosen type of accommodation, your room will vary. Kathmandu offers some beautiful International Hotels with high standard but do bear in mind that there is a big shortage of trained staff in Nepal, and things may not "hop" the way you expect. In general accommodation is clean, comfortable and acceptable for western travellers. All our hotels have private facilities. Of course lodges and other types of accommodations are of lesser standard.. Most hotels can arrange laundry, though rarely dry-cleaning. However, other than in Western-run or superior hotels, you can expect boiling, or other "rough" handling to be the order of the day. OK for T-shirts and cottons, but, not for your fine silks! You can expect your bags to have a rough time in Nepal! Take sturdy luggage such as the nylon sausage type made of non-tear material. If you use bags with wheels or rucksacks with frames try to find one where they can be removed or are well recessed. This is not only because they may be broken off from your bags, but, they can also do great damage to other people's baggage. Your international baggage allowance is 20 kilos (44 lbs) in Economy Class. The streams should be considered polluted and whilst bottled water is often available the disposal of plastic bottles is a problem. Have some means to purify water, iodine and/or a fine ceramic filter are the best options.